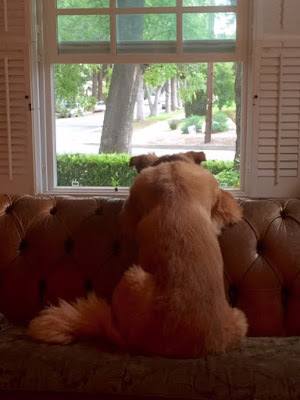 Ted, waiting for Mr. Rosenberg to come home. Aw! I love this!! Casa de Amor.